Create a free account and enjoy much more functionality. Examples: Track the books that interest you. Gray out the books you have read. Sign Up for your free account and we'll display all your favorites here for easy access. Sign In and we'll show you the books that you are interested in. Introducing Curated Children's Books, the site that helps you find your children's next great read. "You can’t stay in your corner of the Forest waiting for others to come to you. You have to go to them sometimes." "And so he listened. And in his listening, his heart opened wide and then wider still." "Isn’t it funny how day by day nothing changes, but when you look back everything is different?" "But there was one other thing that the grownups also knew, and it was this: that however small the chance might be of striking lucky, the chance was there." "You need a reason to be sad. You don't need a reason to be happy." "Good Night stars, goodnight air, goodnight noises everywhere." "When I was one I had just begun…"
"All those woulda-coulda-shouldas all ran away and hid from one little did"
"When Mrs. Frederick C. Little’s second son arrived, everybody noticed that he was not much bigger than a mouse. The truth of the matter was, the baby looked very much like a mouse in every way." "It’s a party. A big Dog party." -By P.D.Eastman, Go, Dog. Go! "This is George. He lived in Africa. He was very happy. But he had one fault. He was too curious." "The sky is always ready to play…"
"One Sunday morning the warm sun came up and –pop!—out of the egg came a tiny and very hungry caterpillar." "Pickles was a young cat. His paws were big. And he wished to do big things with them." Whether your children read printed books or ebooks, it is hard to find that next great read. Here at CuratedChildrensBooks.com, we suggest only the best children's books, selected by a human curator, and organized by specific children's book category. Unlike many sites on the web, we can’t be gamed and we can’t be bought. Imagine entering the world’s best children's bookstore, with table after table filled with great suggestions. Find the books that you and your children will both really love reading. Enjoy! The original classic touch and feel book that has been entertaining babies for over 60 years. If you do not see your preferred online store listed, it is likely because the book is not available at that store. When you sign up for a free account, we&apos;ll remember your preferred choice in bookstores. The classic bedtime story that has lulled generations of children to sleep is the perfect first book to share with a child. This is the story of a very hungry caterpillar growing into a beautiful butterfly. There are red sheep and blue sheep, wind sheep and wave sheep, scared sheep and brave sheep, but where is the green sheep? 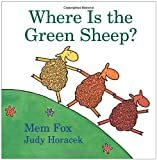 The search is on in this cozy, sheep-filled story from acclaimed author Mem Fox and popular Australian cartoonist Judy Horacek. Complete with sleepy rhymes and bright illustrations, this book is sure to delight children of all ages, from the very young to those just beginning to read. Blast-off! Up into the shy goes the space shuttle. Into orbit, the astronauts get a taste of ready-to-eat food, experience zero gravity, go for space walks, and even fix a satellite. It's fun to fly aboard the shuttle...and then come back to earth. A young girl declares her longing to ‘fly on the shuttle into outer space.’ The familiar acts of eating, sleeping, and working become intense and special as she and the rest of the crew go about their business. 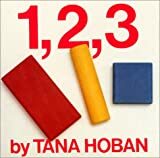 Notable Children's Book of 1988 (ALA), 1988 Fanfare Honor List (The Horn Book), Best Illustrated Children's Books of 1988 (NYT), Oustanding Science Trade Books for Children 1988 (NSTA/CBC). Translated into more than sixty languages, this classic tale of a peaceable bull has been a favorite of readers across the world for generations. To celebrate Ferdinand's seventy-fifth anniversary, Viking is issuing his story in a handsome slipcased edition. Perfect for those who love Ferdinand, and for those who have yet to meet him. Since it was first published in 1939, Mike Mulligan and His Steam Shovel has delighted generations of children. Mike and his trusty steam shovel, Mary Anne, have a very important job. They dig deep canals for boats to travel through, cut mountain passes for trains, and hollow out cellars for big city skyscrapers— the very symbol of modern industrial America. But with progress comes new machines, and soon the inseparable duo are out of work. Mike believes that Mary Anne can dig as much in a day as a hundred men can dig in a week, and the two have one last chance to prove it and save Mary Anne from the scrap heap. What happens next in the small town of Popperville is a testament to their friendship, as well as old-fashioned hard work and ingenuity. Once there was a little island in the ocean. That little island changes as the seasons come and go. The storm and the day and night change it. So do the lobsters and seals and gulls that stop by. Then one day a kitten visits the little island and learns a secret that every child will enjoy. In the forty years since Max first cried "Let the wild rumpus start," Maurice Sendak's classic picture book has become one of the most highly acclaimed and best-loved children's books of all time. Now, in celebration of this special anniversary, introduce a new generation to Max's imaginative journey to Where the Wild Things Are. Beloved by many generations of children, the Caldecott-winning story of Mrs. Mallard's search for a new home for her ducklings was chosen by American booksellers as one of the first inductees into the Picture Book Hall of Fame. The duckling family is immortalized in bronze statues in Boston's Public Garden, and duplicate statues can also be seen in a park in Moscow. Enter the world of Little Bear. Children will be entranced by Little Bear's trip to the moon, his birthday party, and his wishes and adventures. This is the first of the five classic books about Little Bear, introducing the funny and strikingly childlike bear cub and his friends. The combination of Else Holmelund Minarik's simple, yet eloquent, stories and Maurice Sendak's warm, tender illustrations have made this beloved character an enduring favorite among beginning readers. Pickles is a young cat with big paws and big plans. But all he can find to do is chase other cats, until he is adopted by the local firehouse. Knowing that this is his chance to do big things, Pickles works hard to be a good fire cat. He learns to jump on a fire truck. He learns to help put out a fire, and he even helps out in a rescue! Beginning readers will cheer when Pickle's dream finally comes true. Whether by foot, boat, car, or unicycle, P. D. Eastman's lovable dogs demonstrate the many ways one can travel. The new text emphasizes the concept element of the original while maintaining its rhythm and charm. This charming book introduces young children to words that rhyme, such as Hop and Pop, Cup and Pup, Mouse and House, Tall and Small. And once they have learned to recognize one word, children soon find to their delight they can read another simply by changing the first letter. With his unique combination of hilarious stories, zany pictures and riotous rhymes, Dr. Seuss has been delighting young children and helping them learn to read for over fifty years. Stunning illustrations capture the exasperation of Bear, whose solitary reading and writing are continually interrupted by persistent Goose. In the end, Bear is won over and to his own surprise, declares Goose a Splendid Friend, Indeed! A very funny story with a warm message about not judging others. A Theodor Seuss Geisel Honor Book. Laura Ingalls's story begins in 1871 in a little log cabin on the edge of the Big Woods of Wisconsin. Four-year-old Laura lives in the little house with her Pa, her Ma, her sisters Mary and Carrie, and their trusty dog, Jack. Pioneer life is sometimes hard, since the family must grow or catch all their own food as they get ready for the cold winter. But it is also exciting as Laura and her folks celebrate Christmas with homemade toys and treats, do the spring planting, bring in the harvest, and make their first trip into town. And every night they are safe and warm in their little house, with the happy sound of Pa's fiddle sending Laura and her sisters off to sleep. And so begins Laura Ingalls Wilder's beloved story of a pioneer girl and her family. The nine Little House books have been cherished by generations of readers as both a unique glimpse into America's frontier past and a heartwarming, unforgettable story. Mrs. Jane Tabby cannot explain why all four of her kittens were born with wings. But when life on the city streets becomes too dangerous, it is clear that her dream for her children might some day come true. They can fly away from the city slums of their birth. And one day, they do. But not even their mother could have foreseen the hazards of country living. Beatrix Potter's The Tale of Peter Rabbit captures the sweet mischief of childhood in a story that endears itself to young readers. In the classic style of fables, this story uses animals and their antics to teach a valuable life lesson. By describing Peter Rabbits insatiable hunger for cabbage and carrot, this speaks to young children about keeping their hands out of the cookie jar. A little sister goes a long way. Big sister Beezus Quimby tries to be patient with her little sister, Ramona, but it isn't easy, not when Ramona powders her nose with marshmallows and invites her class to a party without telling her family. Sometimes Beezus doesn't like Ramona, but the girls are sisters and that means they will always love each other—just not every single minute. Welcome to the story of Despereaux Tilling, a mouse who is in love with music, stories, and a princess named Pea. It is also the story of a rat called Roscuro, who lives in the darkness and covets a world filled with light. And it is the story of Miggery Sow, a slow-witted serving girl who harbors a simple, impossible wish. These three characters are about to embark on a journey that will lead them down into a horrible dungeon, up into a glittering castle, and, ultimately, into each other's lives. What happens then? As Kate DiCamillo would say: Reader, it is your destiny to find out. From the master storyteller comes another classic, a fairy tale full of quirky, unforgettable characters, with twenty-four stunning black-and-white illustrations by Timothy Basil Ering. Few children's classics can match the charm and originality of Frances Hodgson Burnett's The Secret Garden, the unforgettable story of sullen, sulky Mary Lennox, "the most disagreeable-looking child ever seen." When a cholera epidemic leaves her as an orphan, Mary is sent to England to live with her reclusive uncle, Archibald Craven, at Misselthwaite Manor. Unloved and unloving, Mary wanders the desolate moors until one day she chances upon the door of a secret garden. What follows is one of the most beautiful tales of transformation in children's literature, as Mary her sickly and tyrannical cousin Colin and a peasant boy named Dickson secretly strive to make the garden bloom once more. A unique blend of realism and magic, The Secret Garden remains a moving expression of every child's need to nurture and be nurtured—a story that has captured for all time the rare and enchanted world of childhood. They open a door and enter a world. Narnia ... a land frozen in eternal winter ... a country waiting to be set free. Orphan, clock keeper, and thief, Hugo lives in the walls of a busy Paris train station, where his survival depends on secrets and anonymity. But when his world suddenly interlocks with an eccentric, bookish girl and a bitter old man who runs a toy booth in the station, Hugo's undercover life, and his most precious secret, are put in jeopardy. A cryptic drawing, a treasured notebook, a stolen key, a mechanical man, and a hidden message from Hugo's dead father form the backbone of this intricate, tender, and spellbinding mystery. Hillary doesn't believe all the mean things she hears about Sara-Kate. Sure, she wears weird clothes and she lives in a dumpy house, but if Sara-Kate's as bad as everyone says, how could she take such good care of the elf village in her backyard? She and Hillary spend hours fixing the tiny stick houses and the miniature Ferris wheel so the elves won't move away. But as Hillary is drawn further into Sara-Kate's world, she learns there are other mysteries besides the elves. Why doesn't anyone ever see Sara-Kate's mother? And why isn't anyone allowed in her house? This updated edition will bring new life to Janet Taylor Lisle's best-selling novel. Stanley Yelnats is under a curse. A curse that began with his no-good-dirty-rotten-pig-stealing-great-great-grandfather and has since followed generations of Yelnats. Now Stanley has been unjustly sent to a boys' detention center, Camp Green Lake, where the warden makes the boys "build character" by spending all day, every day, digging holes: five feet wide and five feet deep. It doesn't take long for Stanley to realize there's more than character improvement going on at Camp Green Lake. The boys are digging holes because the warden is looking for something. Stanley tries to dig up the truth in this inventive and darkly humorous tale of crime and punishment—and redemption. In the ruins of a place once known as North America lies the nation of Panem, a shining Capitol surrounded by twelve outlying districts. Long ago the districts waged war on the Capitol and were defeated. As part of the surrender terms, each district agreed to send one boy and one girl to appear in an annual televised event called, "The Hunger Games," a fight to the death on live TV. Sixteen-year-old Katniss Everdeen, who lives alone with her mother and younger sister, regards it as a death sentence when she is forced to represent her district in the Games. The terrain, rules, and level of audience participation may change but one thing is constant: kill or be killed. In his nationally acclaimed, semi-autobiographical YA debut, author Sherman Alexie tells the heartbreaking, hilarious, and beautifully written story of a young Native American teen as he attempts to break free from the life he was destined to live. Lyra Belacqua is content to run wild among the scholars of Jodan College, with her daemon familiar always by her side. But the arrival of her fearsome uncle, Lord Asriel, draws her to the heart of a terrible struggle—a struggle born of Gobblers and stolen children, witch clans and armored bears. And as she hurtles toward danger in the cold far North, Lyra never suspects the shocking truth: she alone is destined to win, or to lose, this more-than-mortal battle. Philip Pullman's award-winning The Golden Compass is a masterwork of storytelling and suspense, critically acclaimed and hailed as a modern fantasy classic. Sometimes I feel like I have walked into the middle of a movie. Maybe I can make my own movie. The film will be the story of my life. No, not my life, but of this experience. I'll call it what the lady who is the prosecutor called me. MONSTER. Sixteen-year-old Steve Harmon is on trial for murder. A Harlem drugstore owner was shot and killed in his store, and the word is that Steve served as the lookout. Guilty or innocent, Steve becomes a pawn in the hands of "the system," cluttered with cynical authority figures and unscrupulous inmates, who will turn in anyone to shorten their own sentences. For the first time, Steve is forced to think about who he is as he faces prison, where he may spend all the tomorrows of his life. As a way of coping with the horrific events that entangle him, Steve, an amateur filmmaker, decides to transcribe his trial into a script, just like in the movies. He writes it all down, scene by scene, the story of how his whole life was turned around in an instant. But despite his efforts, reality is blurred and his vision obscured until he can no longer tell who he is or what is the truth. This compelling novel is Walter Dean Myers's writing at its best. As ferociously fresh as it was more than a half century ago, this remarkable allegory of a downtrodden society of overworked, mistreated animals, and their quest to create a paradise of progress, justice, and equality is one of the most scathing satires ever published. As we witness the rise and bloody fall of the revolutionary animals, we begin to recognize the seeds of totalitarianism in the most idealistic organization; and in our most charismatic leaders, the souls of our cruelest oppressors. This gem designed by Brian Wildsmith has long been a favorite alphabet book. His luscious palette of colors will excite any curious young reader. A first book for your baby by one of America's foremost photographers of childhood. Weaving, fishing, and storytelling are all part of this spirited book that celebrates Native American traditions as it teaches young children to count from one to ten. The book's whimsical illustrations, reminiscent of Beatrix Potter, glow with brilliant color and are filled with fascinating detail. Each number introduces a facet of traditional Native American culture, such as Pueblo corn dances or Navajo weaving, and the simple, rhyming text is enhanced by a brief afterword on Native American customs. Ideal for storytime or bedtime, this is a book sure to leave children counting rabbits instead of sheep. A is for Always, that's where we embark... Two children, treasure map in hand, and their pet gazelle sneak past their father, out of their house, and into a world beneath the city, where monsters and pirates roam. Will they find the treasure? Will they make it out alive? 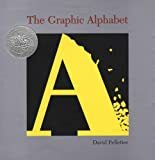 A graphical representation of the alphabet gives a new view of the letters, from the A that crumbles as an avalanche approaches to the D that glows with the light of the devil. In early August 2010, the unthinkable happened when a mine collapsed in Copiapo, Chile, and 33 miners were trapped 2,000 feet below the surface. For sixty-nine days they lived on meager resources and increasingly poor air quality. When they were finally rescued, the world watched with rapt attention and rejoiced in the amazing spirit and determination of the miners. What could have been a terrible tragedy became an amazing story of survival. Now, with exclusive interviews with rescuers and expert commentary, Marc Aronson brings us the backstory behind this incredible event. By tracing the psychological, physical, and environmental factors surrounding the rescue, Trapped highlights the amazing technology and helping hands that made it all possible. From the Argentinean soccer players who hoped to raise morale, to NASA volunteering their expertise to come up with a plan, there was no shortage of enterprising spirit when it came to saving lives. Speed off on an eventful bicycle ride along the bold yellow road that cuts through town, by the sea, and through the country. Ride up and around, along and through, out and down. Frank's striking graphic style is executed in just five joyous colors, and his spare, rhythmic language is infectious. Look inside this well-loved toolbox—there is so much to discover! It holds strong wrenches that turn, pliers that pinch, and sandpaper that smoothes. There are nails, screws, and a hammer. A toolbox is a treasure trove for curious young builders. When they’re not running to explore their own tool collections, children will be glued to this book, exploring the shapes, names, and useful jobs of common hand tools. Anne and Harlow Rockwell’s preschool classic still shines with a well-crafted simplicity that speaks to the desire young children feel to make something uniquely their own. Birds come in all sizes, shapes, and colors. Birds are magic. Birds are everywhere. If you listen very carefully you will hear them, no matter where you live. And if you look very closely you will see them, no matter where you are. And if you can't go outside right this minute, you can always read this book! A long time ago there were dinosaurs. Big dinosaurs and small dinosaurs. Dinosaurs with horns on their heads or spikes down their backs. Dinosaurs with long, long necks and long, long tails. Imaginatively and with a masterful use of color, shape and composition, Bryon Barton brings to life a unique and endearing vision of what the world may have looked like once upon a time. 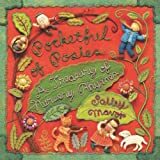 This hand-picked collection of classic nursery rhymes, all delicately and painstakingly illustrated by Salley Mavor, who is reknown for her incredibly detailed fabric and cloth scenes. It took Mavor ten years to develop her own fabric relief technique to a level where she felt comfortable even considering illustrating a book. Now, Mavor embroiders and sews illustrations, each scene taking nearly a month to complete. In this book, Mavor renders a new and visionary nursery rhyme world with precision and intricacy for many a generation to treasure for years and years to come. A magic bean buyer . . .
Come in . . . for where the sidewalk ends, Shel Silverstein's world begins. You'll meet a boy who turns into a TV set, and a girl who eats a whale. The Unicorn and the Bloath live there, and so does Sarah Cynthia Sylvia Stout who will not take the garbage out. It is a place where you wash your shadow and plant diamond gardens, a place where shoes fly, sisters are auctioned off, and crocodiles go to the dentist. Shel Silverstein's masterful collection of poems and drawings is at once outrageously funny and profound. More entertaining verses and delightful pictures in the style of When We Were Very Young. In award-winning artist Jerry Pinkney's wordless adaptation of one of Aesop's most beloved fables, an unlikely pair learn that no act of kindness is ever wasted. After a ferocious lion spares a cowering mouse that he'd planned to eat, the mouse later comes to his rescue, freeing him from a poacher's trap. With vivid depictions of the landscape of the African Serengeti and expressively-drawn characters, Pinkney makes this a truly special retelling, and his stunning pictures speak volumes. You may think of the desert as a harsh, dry place where no one would ever want to live -- but think again. The Desert People know. so do the animals. Both love the land, and "share the feeling of being brothers in the desert, of being desert creatures together." Byrd Baylor's spare, poetic text and Peter Parnall's striking illustrations lime the sky, stone and sand of the desert in this haunting book. Curators needed. We are looking for Curators for numerous book genres. Do you love to read and want to help others find great books to read? If so, contact us here.